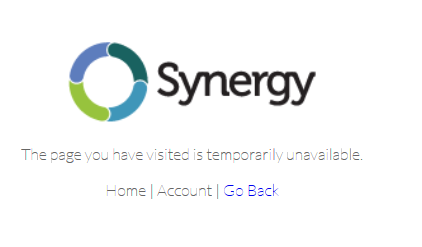 The Synergy Free page is down - says: "The page you have visited is temporarily unavailable". I've checked this page over two different days - no change. Wondering when this will be back up? @farmerjon We are not providing any free versions of Synergy anymore. Please update the page to reflect this - I've seen other requests wondering where the page went. Or, change the wording of the 404 error to not have 'temporarily' in the message - as it is misleading. @farmerjon What link are you using and where did it came from?